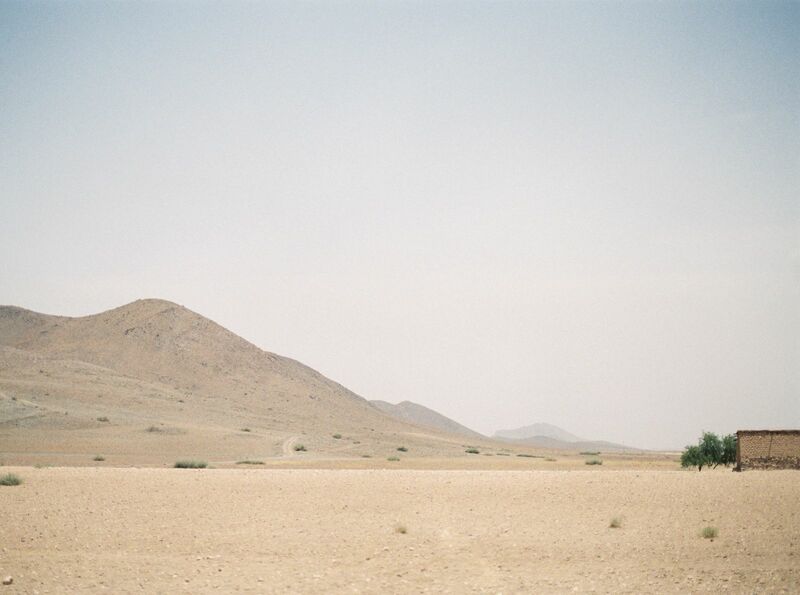 LUDOVIC FILM PHOTOGRAPHER is taking us on a journey through exotic Marrakech, Morocco today. He tells us, "My family and I spent our summer vacation in Marrakech. we discovered different aspects of the city, from visiting tourist attractions such as the MAJORELLE GARDEN or the flea market of Jemaa El Fna, to enjoying the services of the luxurious LA SULTANA HOTEL in the heart of the city. Not forgetting the camel ride and drinking the very traditional mint tea under the tent, in the middle of the desert. We enjoyed the negotiations we had with the Berber women cooperative and every single trader, it is a local folklore as tourists and traders both play the bargaining game." The vibrancy and colour of this city never fail to impress us. Ludovic's images take us to The JARDIN MAJORELLE - one of the most visited sites in Morocco. It took French painter Jacques Majorelle forty years of passion and dedication to create this magnificent garden full of exotic trees, plants and cactuses from different corners of the world, and its colourful buildings and fountains. Yves Saint Laurent and Pierre Bergé bought the gardens in 1980. He found an unlimited source of inspiration in the Jardin Majorelle, and said that he dreamt many times about its unique colours. 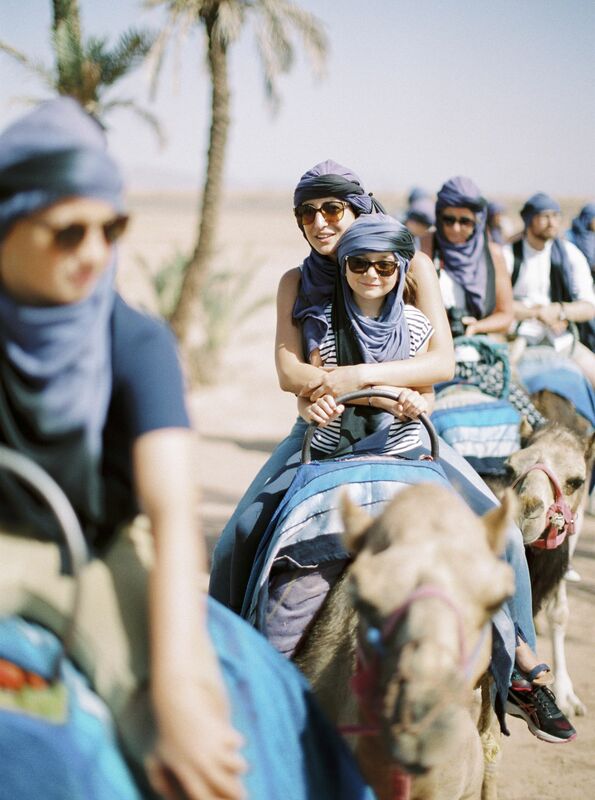 "We decided to visit the desert on the back of a camel, watching the vastness of the sand dunes, its brilliant sunshine and majestic palm trees and date palms. 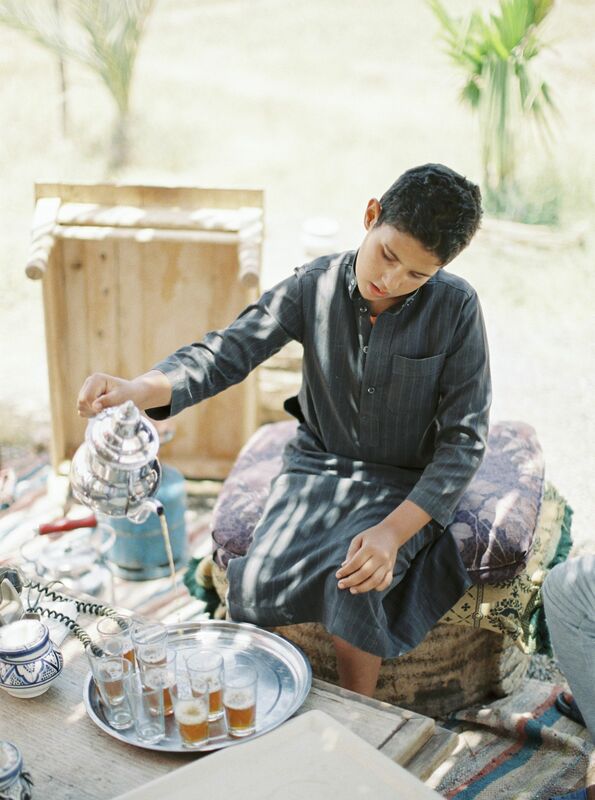 We had a stop in the middle of the desert where we had the chance to enjoy a mint tea served by the child of the host. We stayed in LA SULTANA HOTEL which is a sumptuous oriental riad authentically restored in purest Moroccan tradition, amidst the cultural wonders in the heart of the city. It's a magical place where every room has its own theme and beautiful oriental decoration. It transports you to another time. We had a very relaxing time swimming in the pool and enjoying fresh juices between the activities. We had traditional moroccan cuisine on the rooftop with a oud musician who played the instrument beautifully. We felt like in the Arabian nights."